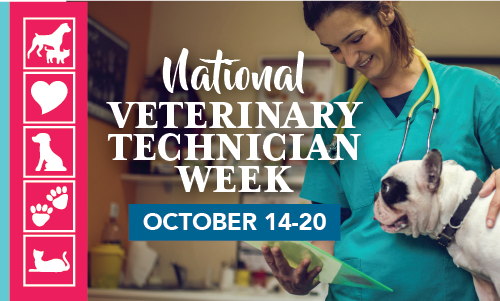 National Licensed Veterinary Technician (LVT) Appreciation week is October 14-20. We appreciate our LVT’s year round but want to take this opportunity to really highlight them and all they do for our patients! What do Licensed Veterinary Technicians do? What training does a Licensed Veterinary Technician receive? Licensed Veterinary Technicians are graduates of an accredited AVMA (American Veterinary Medical Association) program. These programs are typically 2 years in length and graduates receive an associate’s degree. LVT’s can then go on to continue their education and specialize in specific area of veterinary medicine. In addition to graduating from an accredited AVMA program, candidates must also pass the Veterinary Technician National Exam (VTNE). To maintain their licensure, Licensed Veterinary Technicians are required to complete a minimum of 8 hours of continuing education credits every year. At Crossroads Animal Hospital, like many veterinary hospitals, our LVTs play an integral part in your pet’s care. Our LVTs are nurses, surgical assistants, dental assistants, phlebotomists, pharmacy technicians, anesthetists and x-ray techs all rolled into one! They also provide client education and are available to answer questions and provide information regarding your pet’s health. We appreciate all the hard work our Licensed Veterinary Technicians do! We love our Techs!